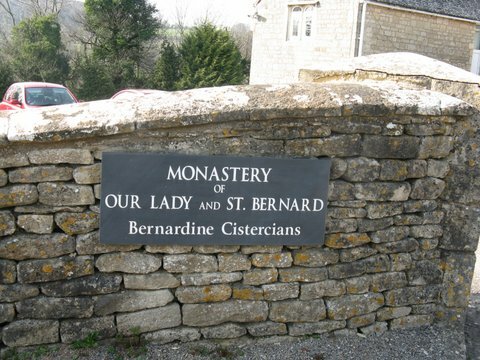 We missed the anniversary of the dedication of our church which actually happened earlier in the year. 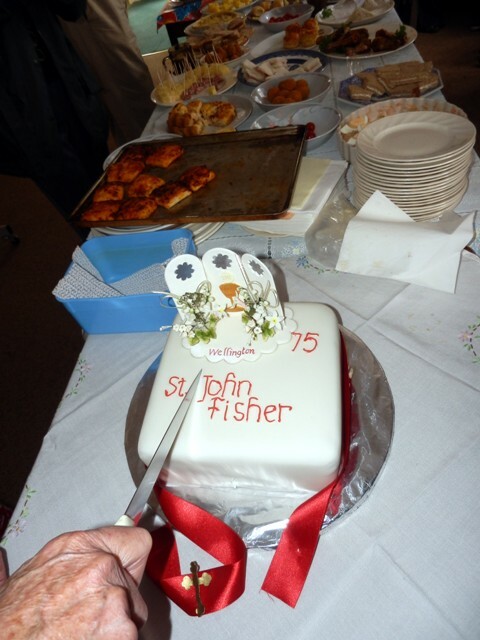 However, we celebrated it in style this Sunday, which was the relocated feast of St John Fisher. After a celebratory Mass which commemorated the life and death of our patron Saint, we had a splendid table set with food brought by people in the Parish. Some parishioners who were unable to come to Mass kindly dropped off food for the event, for others to enjoy. The generosity was heartening to see, and we all tucked in. Brenda baked and decorated a beautiful cake in honour of the feast, and we enjoyed it - and the rest of the food immensely. The clean-up operation afterwards was most efficient! 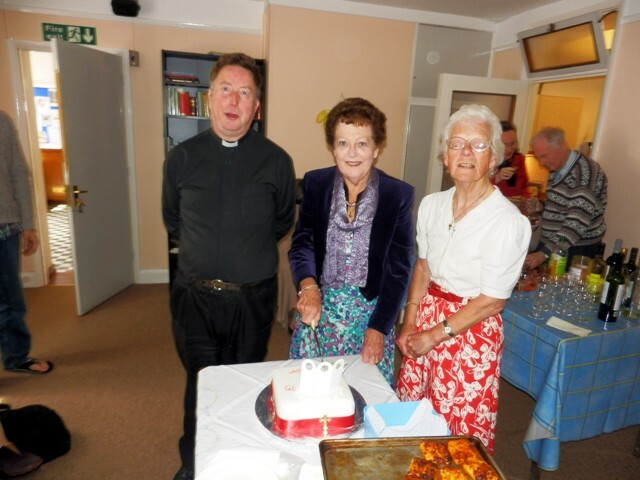 Five children recently received their first Holy Communion at Sunday Mass on 10th June, and we also celebrated the 23rd Anniversary of the Ordination of Parish Priest, Father Vincent Curtis. The children, who received preparation classes from catechist Julia Tucker, assisted by Freccia Upham, participated in the Mass in the prayers and music. 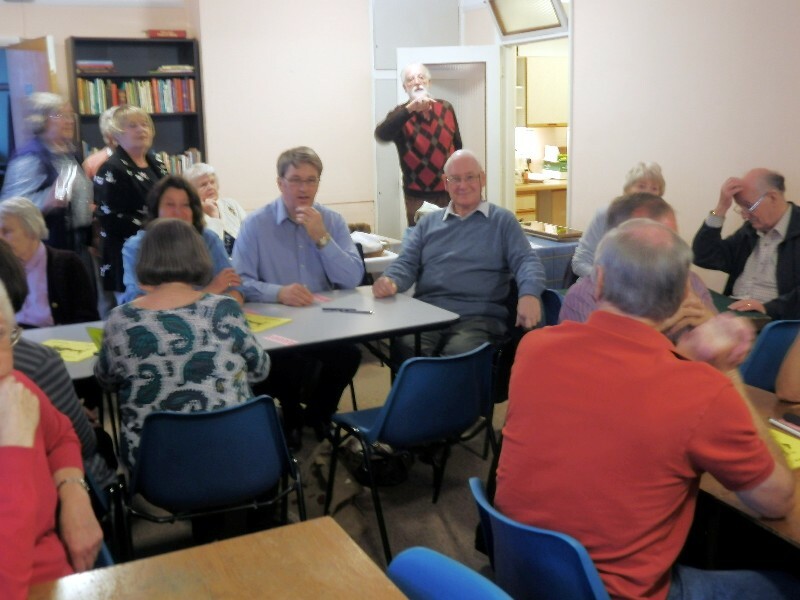 A buffet lunch was enjoyed by the children, their families, friends, and parishioners after Mass. The photo shows the children and catechists together with the Parish Priest. 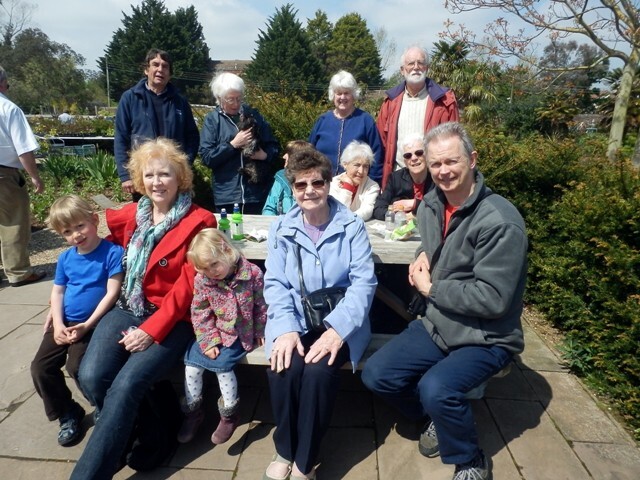 It was a fair-sized group went up to Cannington, on a trip organised by the Social Committee, to see the plants for sale, and enjoy the sun. Not all of them are here in the photographs: I hope to get some updates to more fully record the day. What a wonderful day it was. 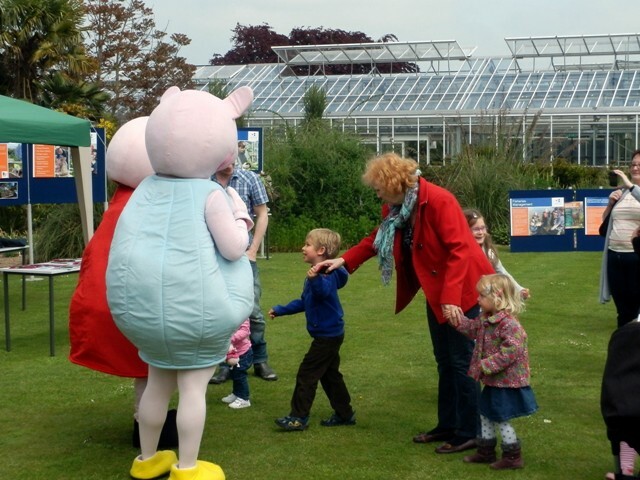 The sky wasn't entirely clear, but for most of the day the sun shone warmly on the group, and Peppa Pig and George were there to entertain the kids. 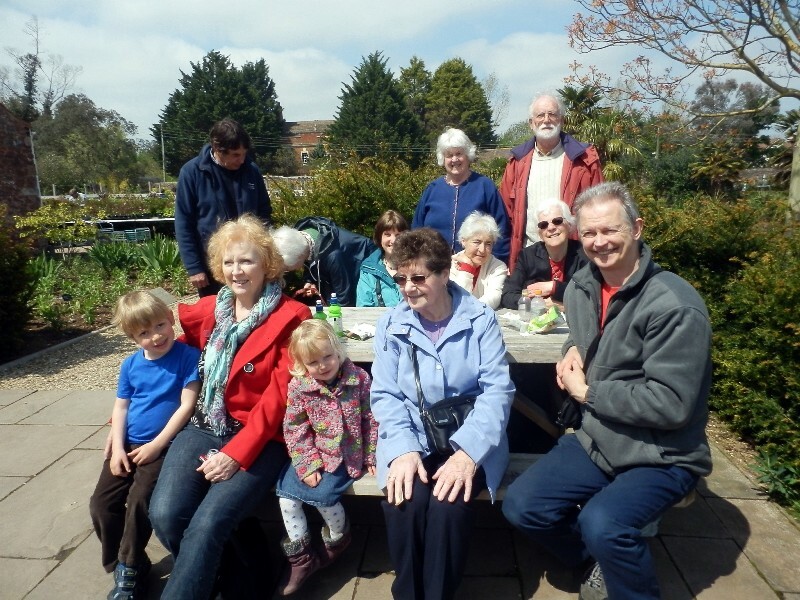 We had our lunch as soon as we arrived, and then pottered round the gardens and the nearby church. 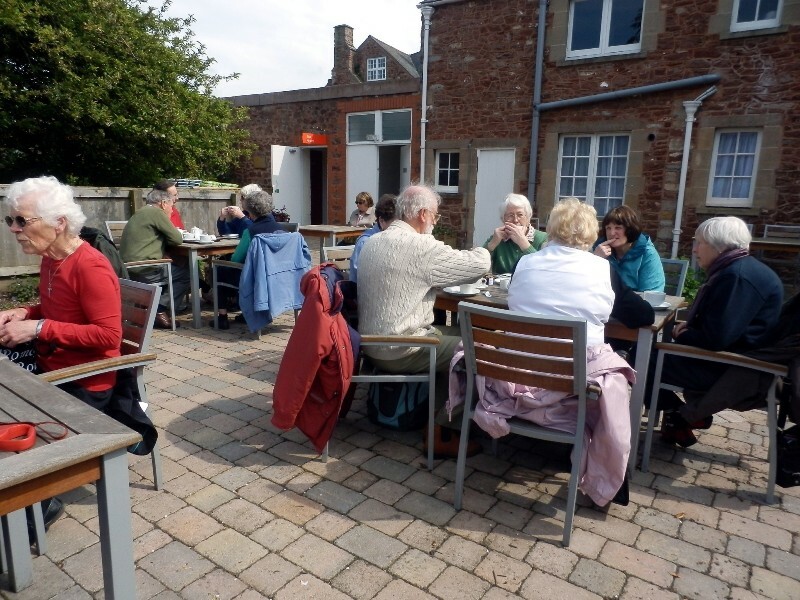 At the end of the day, a cream tea was entirely in order before our departure. 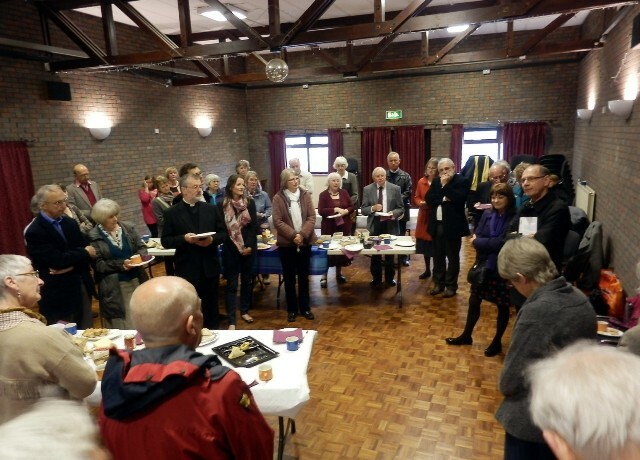 23 years working to promote the work of CAFOD in the SW, and how much they deserve thanks and appreciation after their years of dedication to the cause! 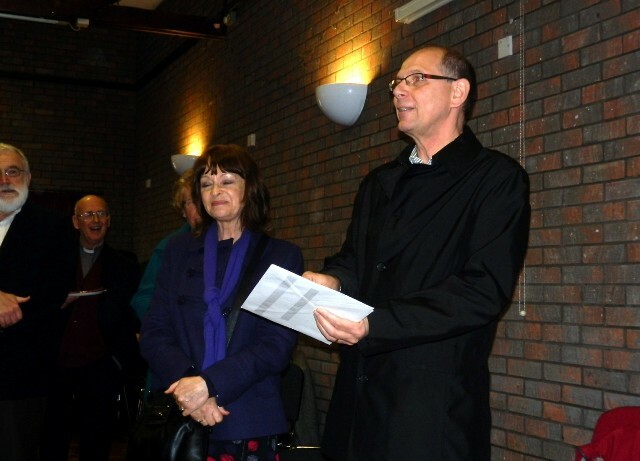 Patrick Finnegan, Deirdre Roberts and Julia Tucker attended the event from this Parish, and helped Doug and Anne Lowe provide the music for the Mass. 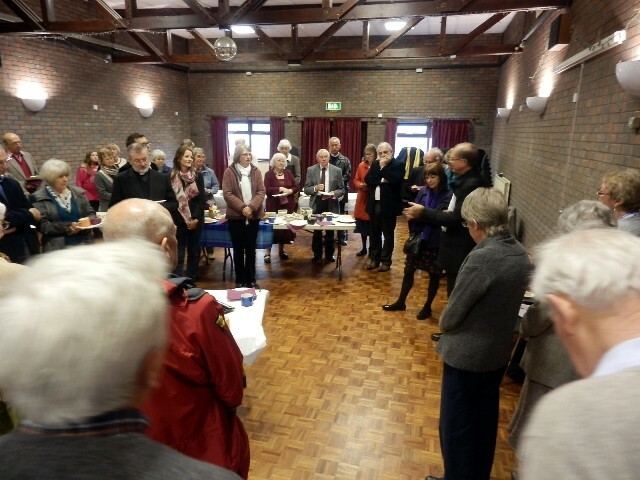 The day provided a fitting and moving tribute to Tony and Gill's commitment to CAFOD over many years. 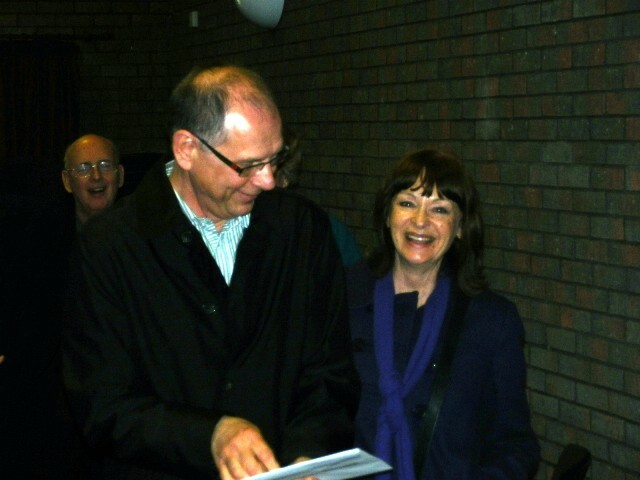 A happy retirement beckons. 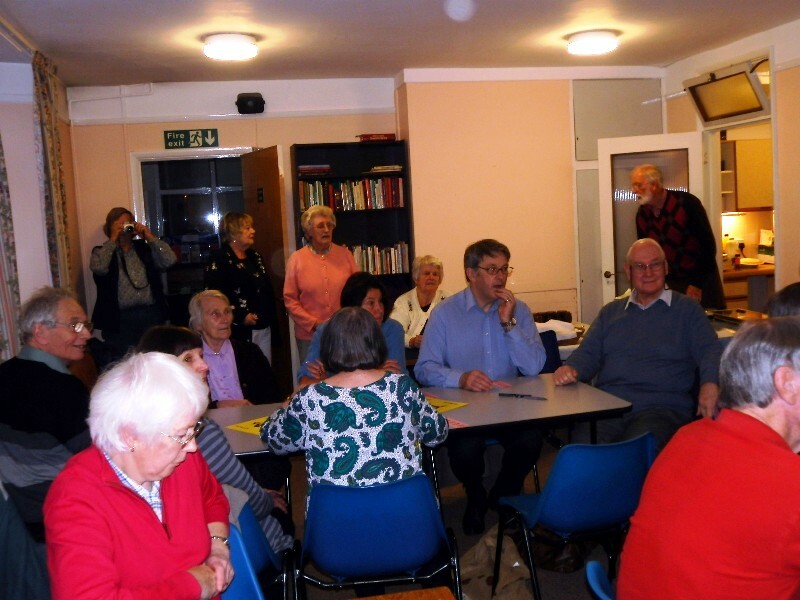 Raising money for the CAFOD Lent appeal, the Social Committee arranged a quiz, which was written and run by Monica and Simon. Thanks to you both. They did a brilliant job, as they have before, and entertained just short of 30 of us very well indeed. 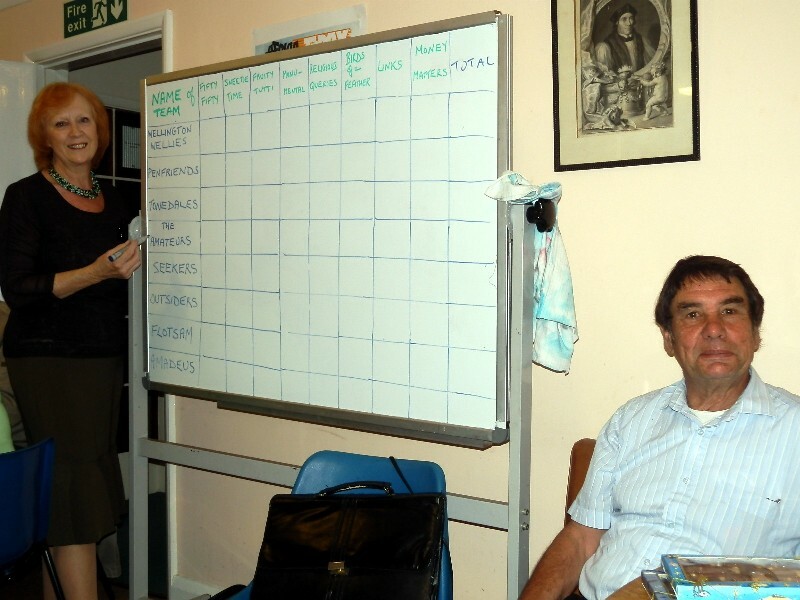 It was a lovely evening, with food and drink provided, and we all, winners and losers, left content and joyous. 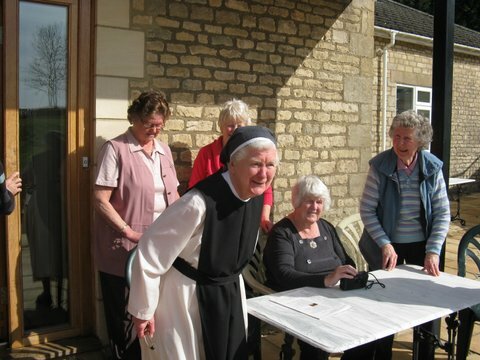 23-25 March: Parish Retreat, Brownshill, near Stroud. 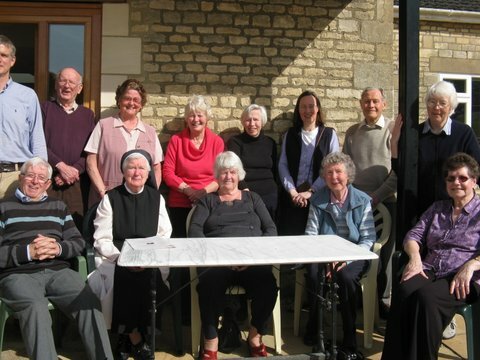 13 parishioners spent a weekend in retreat in Lent with the Cistercian Sisters at Brownshill nr. Stroud. It was good to get away, to have time for prayer and reflection, and for getting to know each other. The weekend was inspirational - just before Passiontide - 'Going up to Jerusalem' was our theme. 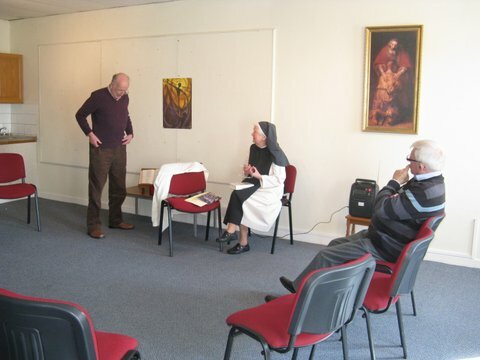 Led for us by Sister Mary Stephen.